Areas of Interest: Syntactic theory, structure of Spanish, second language acquisition and methodology of language teaching; Esperanto language and linguistics. Profile: Dr. Goodall is Professor of Linguistics, Director of the Linguistics Language Program and Director of the Experimental Syntax Laboratory at the University of California, San Diego. 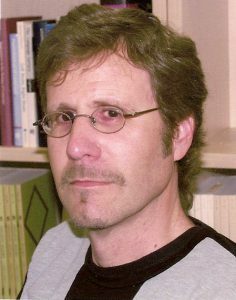 He has published widely in theoretical linguistics and the linguistics of Spanish, English and Mandarin Chinese. Interesoj: sintaksa teorio, strukturo de la hispana lingvo, dualingva lernado kaj metodologio de lingvoinstruado; Esperanto kaj lingvistiko. Profilo: Doktoro Goodall estas profesoro pri lingvistiko, direktoro de la lingvistika lingva programo kaj direktoro de la eksperimenta sintaksa laboratorio en University of California, San Diego. Li publikigis multajn verkojn pri teoria lingvistiko, la lingvistiko de la hispana, angla kaj la mandarena ĉina lingvo. “Inversion in wh-questions in child Romance and child English.” Selected Proceedings of the 36th Linguistic Symposium on Romance Languages, María José Cabrera, José Camacho, Viviane Déprez, Nydia Flores and Liliana Sánchez (eds.). John Benjamins, Amsterdam. Pp. 169-182. 2007. Goodall, G. (2005). Contraction. In Martin Everaert and Henk van Riemsdijk (eds. ), The Syntax Companion. Oxford: Blackwell.